Have you been fed up with a frequently messy network, performance issues, and data transmission errors? 1U cable manager comes in, all your problems out. As its name shows, the 1U cable manager is a device placed in front of a cabinet or rack and manage all sorts of cables, like fiber, coax, patch cables, etc. In that way, cables can be well-organized and protected. Here, “1U” refers to the height of racks or cabinets of a standard unit, usually 1.75 inches height. Therefore, 1U cable management also refers to the horizontal cable management. Altogether, there are four common types of 1U horizontal cable manager in the market: horizontal cable managers with finger duct, D-ring, brush strip, and the L-shaped horizontal cable manager. Each type has its own traits and applications. The horizontal cable management device of this type is one of the most popular solutions to organize cables in the market. This 1U cable manager consists of three parts: 1U cable management panel with pass-through holes, finger ducts, and a removable top cover. The finger ducts and the pass-through holes are designed to route cables and reduce the cable strain. As for the removable cover, it makes bundled cables to be easily added or removed; besides, it protects cables from damage or dust. In most cases, this cable manager is made of plastic and is available in single-sided or dual-sided. The dual-sided horizontal cable organizer can support for front and back cable management in a more flexible way. The horizontal cable manager with D-ring usually consists of the horizontal lacer panel and D-rings, and sometimes D-rings will be set with a 1U patch panel and a lacing bar. In most cases, it is made of steel providing great durability. And the robust ring can route large amounts of cable through it. Cable managers of this type can be used in multi-media applications with all coax, copper, and fiber optic cables. 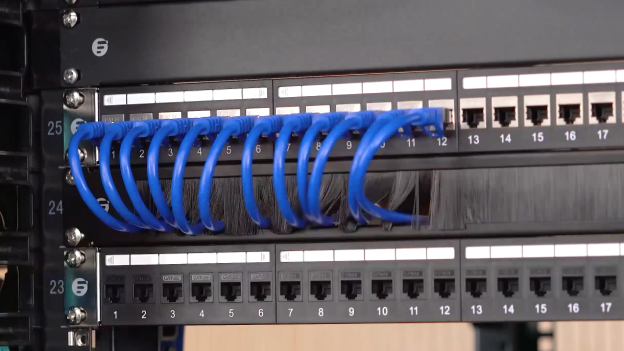 This 1U cable manager provides an open-access management tool with great flexibility. That is to say, following the demand to add or reduce cables, the D-ring can be added or removed as the requirement. Horizontal cable manager with brush strip is often made of high-quality steel and high-density nylon bristles. This type is designed to increase overall airflow within the cabinet network, helping to prevent equipment from overheating, dust, dirt. This 1U cable manager is the best choice for routing cables from the front of the rack to the rear in a simply organized way. 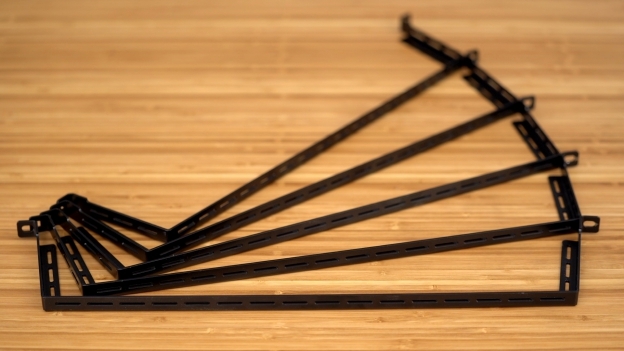 L-shaped horizontal cable manager or L-shaped horizontal lacing bar is made of high quality cold-rolled steel plate. It is an efficient tool for rack or enclosure cabling. 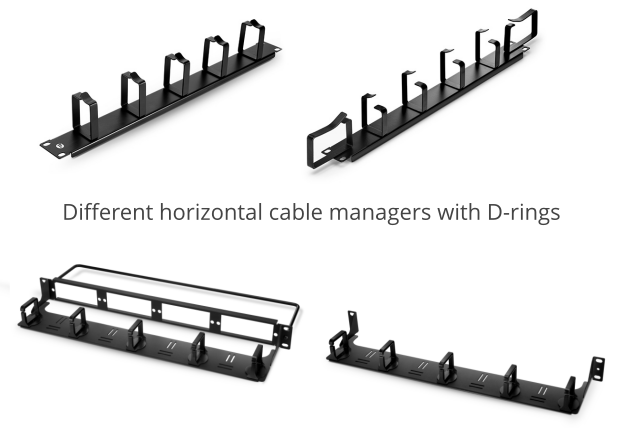 The manager’s angled “L” shape can ensure a proper cable bend radius so that it can greatly avoid cable strain and prevent damage to ports on your rack-mount equipment. There are various types of cable managers. Besides the 1U cable managers introduced as above, the vertical cable manager is also a common type found in the market. As for the vertical cable manager, it also consists of different kinds with different features for different applications. When you want to buy one, it’s easy for you to get lost. 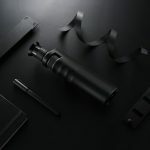 There are some tips that may help you with it. At first, you should have a basic idea of your situation of the equipment that the cable manager is going to place. Is the horizontal way or the vertical way more suitable for you? Then you should consider the cable you are going to manage, such as the quantity and the material. Are you going to handle with fiber, coax, or copper cables? Do you need a compact cable manager or a loose one? Would you prefer a single-sided one or a dual-sided one? Next, you still need to think about expecting functions for this manager. Apart from organizing cables, do you want to increase overall airflow, or prevent overheating and dust, etc? Then, you should take into account the size, making you managers’ sizes fitting for your cables and equipment placed with. With 1U cable manager the messy network will no longer be a problem for us. It makes full use of our space in a scientific way. Making the network environment more organized and neat, and also avoiding some potential threats to out network safety. In addition, the cost for a 1U cable manager is within our reach. With so many strengths, you are never too early to buy one. 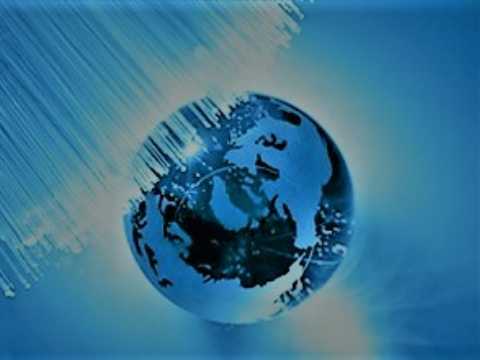 ← What is (Gigabit Passive Optical Networks) GPON?